Egypt's Ministry of Antiquities said it received on Sunday 340 artefacts that were smuggled out of the country and intercepted by Jordanian customs last year. Jordanian authorities had informed their Egyptian counterparts in late 2015 that the artefacts were discovered in a shipment that arrived from the Red Sea port of Nuweiba, according to Shaaban Abdel-Gawad, the head of the ministry's Antiquities Department. "The artefacts, which include stone statues and ancient coins, will be sent to the Egyptian Museum's depot for renovation," Abdel-Gawad added. The Jordanian and Egyptian governments signed in 2015 an agreement of joint cooperation to conserve and recover stolen cultural properties and combat illegal trade in artefacts. The Ministry of Antiquities confirmed that they have returned an ancient rock belonging to Behbeit El Hagar temple, after it was found being used in markets located in El Mahalla El Kubra to cut meat. According to a post on the ministry's Facebook page, the stone was found in a local market, while Al-Masry Al-Youm reported that it was being used at a butcher's stand to cut meat, and was attached to the ground with cement. The stone was discovered at the butcher's stand by an archaeologist by coincidence. It was immediately removed after it was confirmed that it had come from the temple. 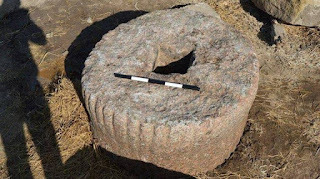 "The rock was transferred to Behbeit El Hagar temple until investigations into the incident can be completed. That assures it remains safe and in good condition," said Mahmoud Afifi, head of the Ancient Egyptian Antiquities Division at the Ministry of Antiquities. Studies show that the rock goes back to the Ptolemaic dynasty, during which the temple was built out of granite. "There are no signs of any inscriptions on the stone," said Ehab Zaher, the general manager of Behbeit El Hagar's antiquities. Zaher explained that, over the years, citizens have been using the temple as a quarry to bring the rocks needed for use in their work and daily activities, or to build their homes or walls, and that's most likely how the stone ended up in the local market. Follow a select group of individuals determined to bring Egypt back from the brink: to discover more of the country's history, keep its heritage safe and persuade tourists to visit the country again. The holiday season is almost here. Haven't planned your vacation yet? Don't worry, we have your back. Read on for 10 ideas that cater to the energetic and adventurous; the meditative and those who seek relaxation. Dust off the time machine and travel back to the fourth century BC; spend your vacation wandering around the magnificent Philae temple complex and Elephantine island which holds the third dynasty Nilometer and the Temple of Khnum. Wake up every day to the most beautiful Nile views; take a picnic to the Aswan Botanical Gardens. At night go shopping in the city’s old market for delicious peanuts, doum—a local fruit with a hard crust and soft and chewy interior that can be eaten fresh or boiled, made into a delicious tea or served over ice. You can find dried hibiscus and many other spices, lovely cotton t shirts, traditional dresses and colourful hand-knitted hats. If you have two more days to spare, take a boat to Nubia and travel back further in time to the land of gold. Nubia is even more peaceful and quiet than Aswan. Here, you can take a boat and explore beautiful unspoiled regions of Nile, take in the magnificent views and go for a swim. Just as Aswan is relaxing — a place for Nile gazing, breathing clean dry air and enjoying the warm breeze — Luxor is energizing, meant for walking and discovering great monuments everywhere in the city. You will need all your energy and excitement here. Luxor is on the site of ancient Thebes, the pharaoh's capital at the height of their power during the 16-11th centuries BC. This is a real treat for young and old explorers. Get ready to walk through the grand Luxor Temple and the legendary Karnak Temple; the royal tombs of the Valley of the Kings and the Valley of the Queens on the river banks. This outstanding archeological area contains such monuments as the Great Temple at Abu Simbel and the Sanctuary of Isis at Philae which were saved from the rising waters of the Nile thanks to a UNESCO campaign that worked from 1950 to 1980 to relocate the sites to safer ground. The Abu Simbel temple complex was originally cut into a solid rock cliff in Southern Egypt, located at the second cataract of the Nile river. Two temples that comprise the site are the Great Temple and the Small Temple, erected during the reign of Ramses II to celebrate his victory over the Hittites in the battle of Kadesh in 1274 BCE. A monumental complex engraved in the mountain 320 km south of Aswan, the façade includes 4 giant statues of Ramses II on his throne; the walls of the Great Temple depict scenes from the battle and Egypt's glorious victory. The second temple is dedicated to Nefertari, Ramses' favourite wife. The temples were built facing east so that twice a year, on 21 October and 21 February, the sun would shine directly into the sanctuary of the great Temple to illuminate the statues of Ramses and Amun. A visit to Abu Simbel is incomplete without attending the sound and light show—the enchantment of which captivated me as a child. The show brings the temple back to life through projections of light on the temples and a recitation of the history of the temples through tales of King Ramses, Queen Nefertari and the great days of our ancestors. You can skip the hotels, spend your days exploring and your nights on one of the many Nile cruises waiting to take you from Aswan to Luxor or vice versa. Taking a cruise on the Nile is a time-honoured way to explore Egypt. For centuries, travelers have sailed stretches of the world’s longest river, finding the unexpected sights of river life every bit as thrilling as the tombs and temples on the schedule. What could be better than starting your new year with a challenge? Head to Sinai to climb Egypt’s highest mountain: Mount Catherine which stands at 2,645 meters above sea level. If you make it up there you are in for spectacular views and a rare moment of reverence. It is a once-in-a-lifetime experience. Spend a couple of nights at one of the eco-lodges in the mountain, or hike the less challenging Mount Moussa. Take a day to explore Saint Catherine's Monastery and the nearby town in South Sinai. 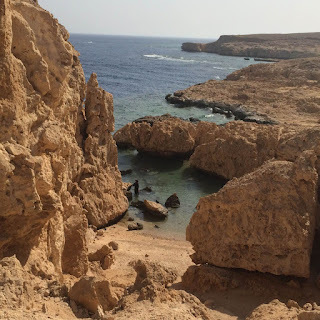 If you want to spend this vacation in a serene place, if you want to dance to the sounds of sea waves and the light of millions of stars then this protectorate in Sinai between Dahab and Sharm El Sheikh is the answer you're seeking. Stunning beaches, diverse marine life and stretches of coral reef make Sharm El Sheikh a magnet for divers, eco-tourists, or simply those who appreciate beauty and want to unwind. 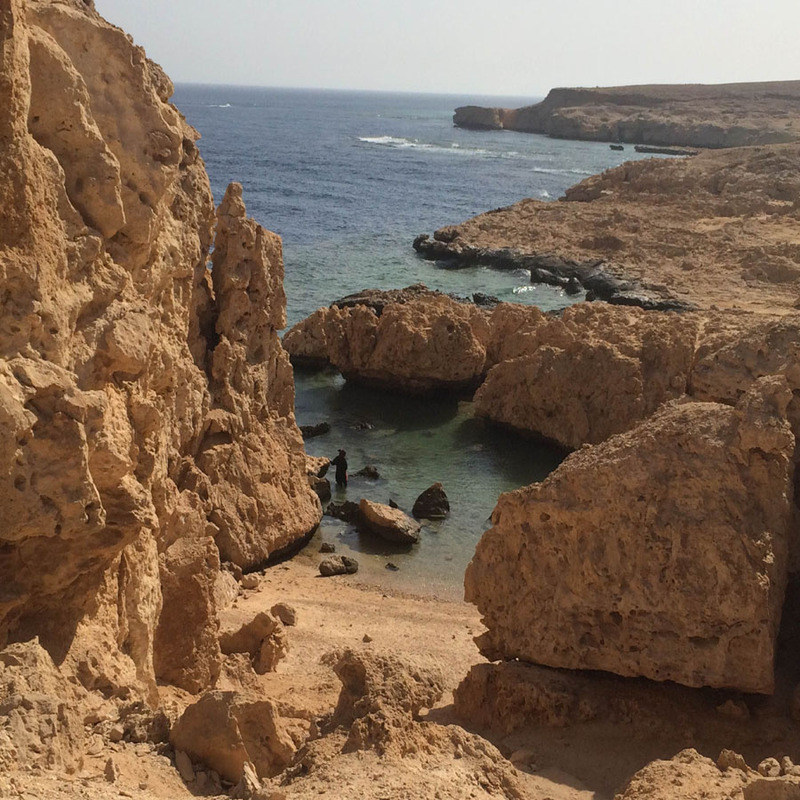 Here you can lounge on the beaches, work on your tan and enjoy the temperate water of the Red Sea— and yes you can swim in December. The days are warm and the nights are brisk. For those seeking a party at night, check Le Pacha bar, Budha bar, Hard Rock Café, Monty's bar, the Half Crown and many more. They all have new year’s parties and many hotel restaurants put on a special Christmas dinner. The Red Sea paradise of El-Gouna lies on the coast, around 500 kilometres south of Cairo. Just 20 kilometres north of Hurghada; the resort was developed in the 1990s by Egyptian business tycoon Samih Sawiris through Orascom Hotels and Development. El-Gouna specialises in watersports, including scuba-diving, windsurfing, kite-surfing, waterskiing, parasailing and snorkeling. There are three centralised areas in El-Gouna, housing shops, bars and restaurants: Downtown, Tamr Henna Square and Abu Tig Marina. You can choose your accommodation from one of El-Gouna's 18 hotels with nearly 3,000 rooms rated from three to five stars. Price ranges from EGP 500 to EGP 1500 per night, depending on location and holiday season. If you're after some luxury this vacation, the five-star Movenpick and Sheraton Miramor both have their own private beaches and swimming pools, while the Steigenberger Hotel offers several swimming pools and lagoons. For something a bit more wallet-friendly, take a look at the smaller three-star hotels in the heart of the resort's downtown area. You can get around in tuk-tuks manned by friendly drivers, or even by speedboat. You can also choose to stay in the most attractive area, the marina, which hosts El-Gouna's luxury yachts. Here you'll find access to the open beach; you can buy a ticket for EGP 100 and enjoy an umbrella, a sunbed and swim as much as you like. There's a restaurant, bar and café on the beach and at night the marina sometimes hosts live music. El Gouna also has public beaches like Element where you can sip bedouin tea and coffee and enjoy nature, in an unspoiled natural setting. You can enjoy a boat trip to one of the most beautiful islands in Egypt: Mahmya Island. 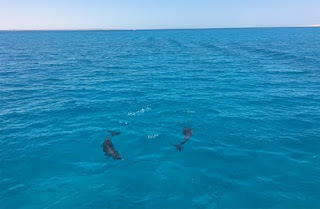 There are two daily trips from the port in Hurghada, one leaving at 8:30 am and the other at 10 am. Boats return at sunset. If you're lucky, you can spot schools of dolphins playing in the water on your way to this lovely spot. A day-trip to Mahmya costs EGP 250, and children under 6 travel for free. That price includes the boat ride both ways, snorkeling equipment, life jackets, sun beds and umbrellas. Once on the island you can enjoy the crystal clear water, which is shallow enough for both adults and youngsters to swim and snorkel safely. There are also restaurants, cafes and bars and even a fish tank spa on the beach, which combine to make for an unforgettable day. For Mahmya booking day trips call 002 01001119792. Overall El-Gouna is a real treat for friends, families and couples. The resort can be reached by bus, car, or by flying directly to Hurghada airport. Other attractions and activities around town include a small aquarium which the little ones will love, a go-kart track, paintball arena, tennis courts, stables and a football stadium. There are a few things that you can only do in Siwa, like spending an exciting day on desert safari or taking a dip in cold and hot water springs, both found in the middle of the desert and surrounded by palm trees. Safaris end in style, watching the sun set in the desert while drinking strong Siwan tea with lemon grass or cinnamon. You can feel the weightlessness and freedom of swimming in salt lakes—from which salt is also extracted—or bring home crystals of salt, said to absorb negative energy when kept in the home. A dip in one of the 200 or more natural sulphur springs including Fatnas or Cleopatra Springs is traditional, and tasting the local dates is not to be missed. At the end of the day you can watch the sun set over one of the crystal clear lakes and feed the fish. Believe it or not, fish like dates as well! The white Desert is the most popular desert destination in Egypt. The unearthly wind-carved rock formations shaped in the form of giant mushrooms and pebbles is stunning. Farafra Oasis is a 300 kilometre drive from Bahriya protectorate. You can do both Farafra and Bahariya and enjoy an unforgettable journey into the infinite whiteness. If you want a simple, relaxing vacation with stunning views of Lake Qarun and the countryside, this is your destination. Celina Colby | 12/15/2016, 6 a.m. The Museum of Fine Arts, Boston boasts the most comprehensive collection of Nubian jewelry and adornments outside of Khartoum. In “Gold and the Gods: Jewels of Ancient Nubia,” showing through January 8, visitors can examine these exquisite works up close. Many of the 95 pieces displayed in “Gold and the Gods” depict objects of worship. One gold and enamel bracelet, circa 250-100 B.C., depicts Hathor, the goddess of love. Wearing a piece like this was thought to bring the benefits of romantic love into your life. Think of it as the B.C. equivalent of a positive horoscope. 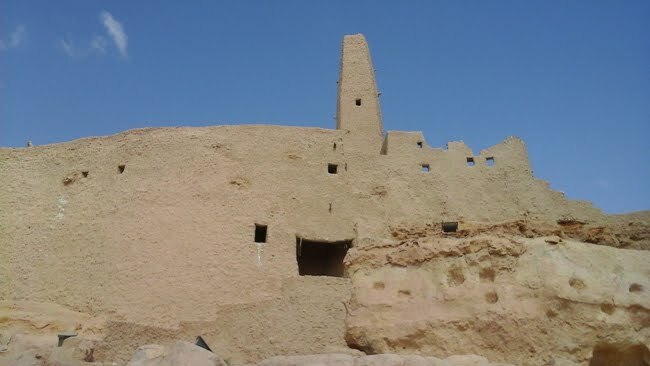 The history of Nubia, a neighbor of Egypt in what is present-day Sudan, can be traced from 2000 B.C. onward in successive cultural iterations. Over two millennia, the region developed a specific set of aesthetics and became known for fine craftsmanship. As with many cultures, jewelry was a way to express the opulence and status of the upper class. 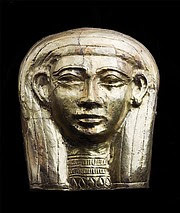 But Nubians also believed that jewelry could ensure resurrection, repel evil spirits and procure the protection of the gods. (l-r): Amulet of Maat, pendant with ram-headed sphinx, amulet of Hathor nursing a queen. The MFA’s impressive collection stems from a joint excavation of Kurshite royal cemeteries carried out with Harvard University between 1913 and 1932. Prior to this research, little was known about the civilization. 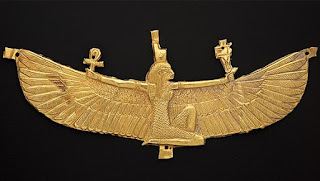 Many of the exhibited pieces are made of gold, a sacred substance associated in both Egypt and Nubia with the powerful sun god, Amen-Re. Scholars suggest that the name Nubia derives from the Egyptian word ‘nbw,’ meaning gold. The works are remarkably contemporary in style, proving that fashion is not only cyclical, it’s several thousand years repeated. An ornate, gilt crown of flowers sits displayed among the religious pieces. Flower crowns remain wildly popular on the modern-day music festival circuit, though the $12 Forever21 creations are decidedly less elegant and artistic than the Nubian versions. 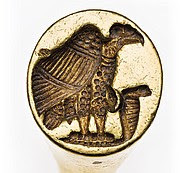 It’s astounding to see minute details carved into rings and bracelets with rudimentary tools. “Winged Isis Pectoral” measures only a few inches yet depicts individual feathers on the wingspan of the Nubian goddess Isis. In addition to gold jewelry, Nubian craftsmen were known for their excellence in glassmaking, a new art form at the time. In order to create glass beads for apparel, the maker s applied drops of molten glass onto the body of a heat-softened glass bead and then pressed the drop into the matrix. Each bead took hours to make. While we’re inundated with information about Egypt, “Gold and the Gods” offers a unique window into a lesser-known culture. Beyond the aesthetics of the upper class, the items on display illustrate the religion, craftsmanship and social hierarchy of a mysterious, ancient social order. But the state’s discrimination, the Islamists’ incitement and violent attacks, and the state’s failure to protect them, along with its practice of forcing them into reconciliation sessions after every attack instead of applying the law and punishing the aggressor, are not what make the lives of Copts unbearable. Rather, it’s the bigotry they encounter from many of their fellow citizens. Copts necessarily know much about Islam through the education system, media, and their neighbors. The same cannot be said of most Egyptian Muslims and their knowledge of the Copts. The exclusion of Copts and their identity from the public square has made them alien creatures onto which wild fantasies are projected. In a column last March, a Coptic journalist recounted being asked by a coworker where her future husband would spend their wedding night, given that a Christian woman is required to sleep with a priest on her wedding night, according to what she knew of the Copts. The question apparently had its roots in Mel Gibson’s film Braveheart, which depicts English lords having the right of the first night. 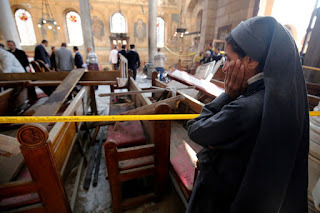 The column unleashed a wave of confessions—comments posted beneath the column and on social media—by Muslim readers admitting to this and other misconceptions they held about their fellow citizens: Coptic priests wear black because they are saddened that Islam rules Egypt. On New Year’s Eve, churches turn out their lights so that men and women can kiss. The late Pope Shenouda, the leader of the Copt Church from 1971 to 2012, conceived of a plan to reconquer Egypt for Christianity by arranging for Coptic doctors to perform abortions on Muslim women. These are not merely bigoted beliefs held by some, but pathologies with profound ramifications. No Copt has been allowed to become an OBGYN professor in any of Egypt’s universities. As Michael Wahid Hanna warned in a recent column, “a society that views and treats a segment of its population as less than fully equal is also [a] society that produces violence and terrorism against it. What does the future hold for Egypt’s Copts? Could a community that has endured for 2,000 years actually become extinct? Throughout the Middle East, the answer seems to be yes. Geography, long the ally of ethnic and religious minorities in the region, offers little protection in the face of modern weapons and totalitarian organizations. The Islamic State’s reign of horrors has not only sought to annihilate these communities, but the very physical evidence of their historical presence. But if modernity has been unkind to these minorities, it has also offered them an alternative: emigration. More than a million Copts now live in the West, where their ancient church is flourishing. Today, there are over 600 Coptic churches around the world. In 1971, there were two Coptic churches in the United States; today, there are 235. The Coptic Church is a growing phenomenon in Sub-Saharan Africa, where its African roots and lack of colonial baggage has allowed it to attract over half a million Africans. Decline and survival, decay and endurance, have been the twin faces of Coptic Christianity under the rule of Islam. Today these two go hand in hand, separated only by geography. Despite the persecution millions of Copts face, there is no place in the West for eight million more. But the better educated, the ones who speak English and possess the skills to succeed beyond Egypt, will leave. Their poorer brethren left behind will stay. Egypt’s Copts will continue to decline. But in the lands of emigration they are writing a new chapter of revival. While there hasn't been a lot of buzz over the decision to reimagine The Mummy as an ancient Egyptian princess in Universal's upcoming reboot, writer Alex Kurtzman has revealed that the design and gender alterations were made due to a very recent comic book movie! In an interview with Cinema Blend, Kurtzman explained that his original plan was to have a male mummy who was born with a skin condition that altered his pigment, which would have him as more of a bullied outcast in the days of ancient Egypt. "I'll let you in on a secret. There was a moment when I had sort of rendered a design that I liked for a male version of The Mummy. And in that version of The Mummy, the Mummy had been born with a skin pigmentation that at the time would have made him really sort of an outcast. And I thought it was an interesting backstory, because it began to tell the story of someone who had been bullied, which I found topical. I was reaching for a way to make the Mummy a character who is relatable, understandable, and that spoke to issues that we're dealing with now." However, Kurtzman's plans were dashed upon seeing the post-credits sequence to X-Men: Days of Future Past, which featured a young, blue-skinned mutant Apocalypse. For Kurtzman, this was far too similar to his original idea, leading to a design overhaul. "I was going down that road, and then I saw the end of Days of Future Past. And they had the character that Oscar Isaac wound up playing as a boy, and it was, I kid you not, the exact same design. And I was like, 'Oh, man! That is not good!' And actually it was the catalyst, it was the moment of, 'Okay, not only is this not going to be different enough, Bryan Singer just did it, I definitely don't want to go down that road.' I had had that voice in my head for some time to make it a woman, and that was the moment where, the minute I saw that post-credits scene, I went, 'We have to start over.'" Would you have preferred Kurtzman's original idea, or are you satisfied with the change? Sound off below! The Mummy will reawaken in threatres on June 9, 2017. Writer based in London but originally from Yorkshire. Loves all new, creative and innovative technologies. Ancient Egypt has astounded the world for years in the sheer spectacle and ingenuity of their masonry in the pyramids and their concealed tombs. Though plenty of research and exploration has gone into the structures, intrigue is kept alive by the secrets still retained within their walls. This scientific and historical curiosity is now matched with a sensitivity to preserve the world’s the artefacts, and non-invasive 3D technologies offer the perfect method to study a scene whilst leaving it intact. 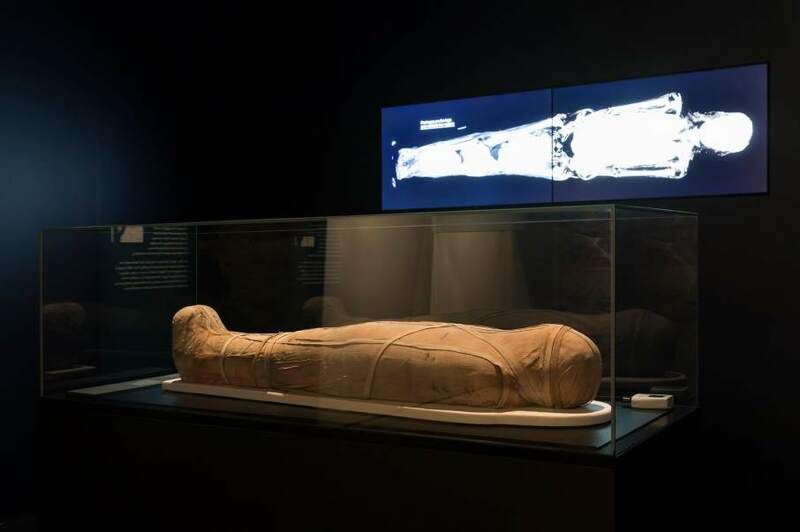 Egyptian Mummies: Exploring Ancient Lives at the Powerhouse Museum in Sydney, Australia, is exhibiting 6 sarcophagi alongside three-dimensional images of their contents. The CT scans show the embalmed skeletons inside a sarcophagus and offers more accurate information about the deceased’s gender, age and medical condition at the time of death. The Australian Museum of Applied Arts & Sciences (MAAS) group partnered with The British Museum in London to get access to the mummies – an institution renowned for its collection of Egyptian artefacts including the Rosetta Stone (which has been held by the museum since 1802) and sculptures of Ramesses II. 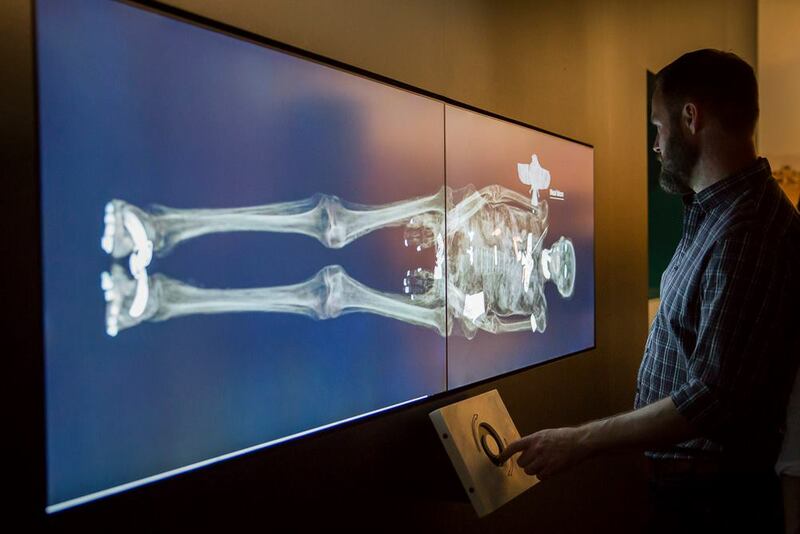 In their esteemed position, the British Museum has also cultivated a comprehensive collection 3D scanned mummies and other objects. Part of the process was using a dual energy standing x-ray that rotates around and slices through the body. This is then put through rendering software, which stitches all the data together. Taking it one step further, many other institutions have also 3D printed replica objects based on 3D scan data. 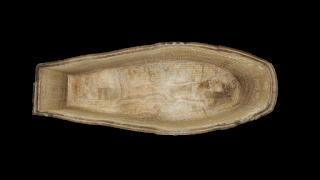 The University of Melbourne in Australia has a mummified head as part of its collection, and printed a skull that was used to reimagine the face of an Egyptian woman. 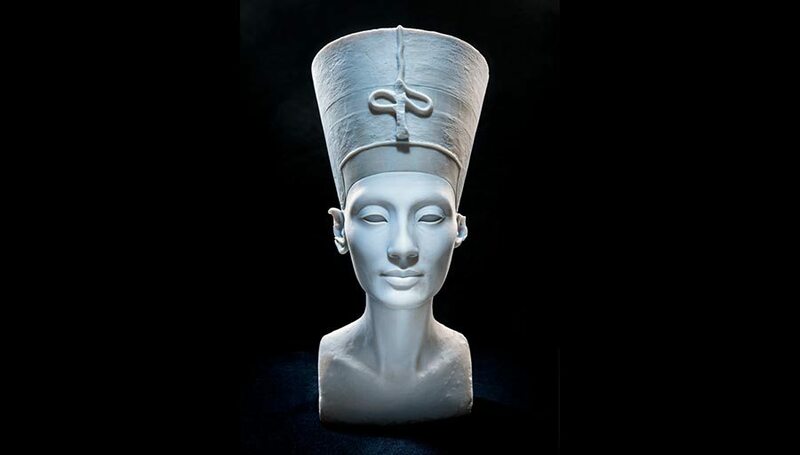 The bust of Nefertiti held by the Neues Museum in Berlin has also been famously recreated. 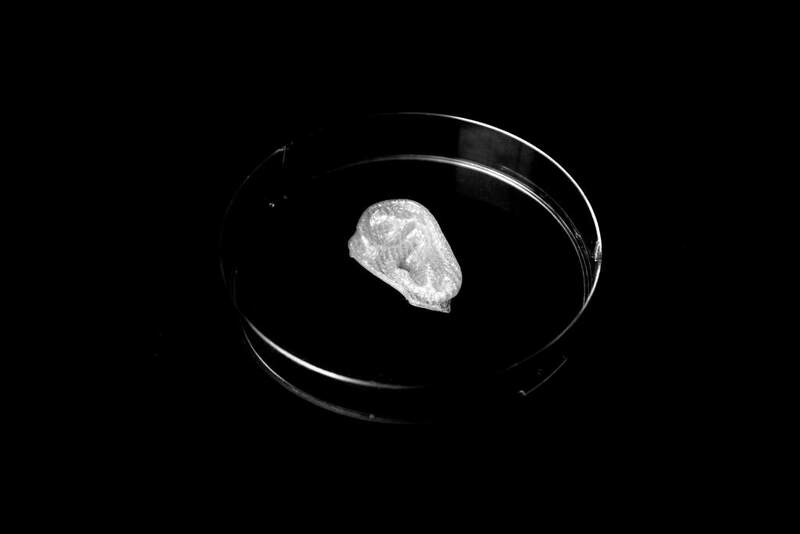 And the ear from the bust has been tested as the scaffold for a 3D bioprint. Projects of such cultural premise aren’t often without their share of controversy, as it illuminates questions about ownership. 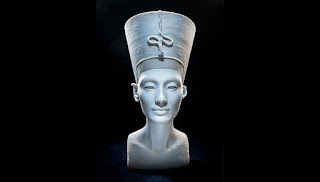 Nefertiti’s 3D printed bust was returned to Egypt from Germany by artists Nora Al-Badri and Jan Nikolai Nelles as a statement about cultural appropriation, and though it isn’t the real thing it does still bring people closer to the facts about the illusive Egyptian Queen. An ability to handle 3D printed replicas of artefacts is also invaluable to historical knowledge, and facilitates access to those who would typically be unable to see such things. On the face of it, replication can often be seen as devaluing an object. But in this instance the knowledge gained from such a process, as in building your own combustion engine or an old car, is evidence of imitation’s worth. Every year looters and smugglers make millions selling cultural property and artifacts on the black market. The federal government has hundreds of agents working like Indiana Jones to find and return stolen relics. In early December, several ancient artifacts were returned to Egypt by Immigration and Customs Enforcement (ICE) in a special repatriation ceremony attended by the country’s foreign minister. Among the items was a 3,000-year-old mummified hand discovered at the Los Angeles airport and being passed off as a sci-fi movie prop. Homeland Security Investigations (HSI) agents from ICE also seized a child’s sarcophagus from a garage in Brooklyn, New York. At the repatriation, agents also returned a panel from a woman’s sarcophagus and a linen mummy shroud. Ray Villanueva oversees the Cultural Property, Art and Antiquities Program at ICE. A team of 400 agents around the world investigates the theft and trafficking of the items. Sometimes artifacts are found in the hands of oblivious collectors and museums. Sometimes, they’re in the hands of tomb raiders. Since 2007, ICE has returned almost 8,000 items to more than 30 countries. "It's not like it was 20 or 30 years ago when there was nobody watching at all about the trade in antiquities,” said National Geographic archaeologist Fred Hiebert. “Today, we're sending the message around that people are watching." Hiebert helps train HSI agents how to identify and handle relics and ancient art. 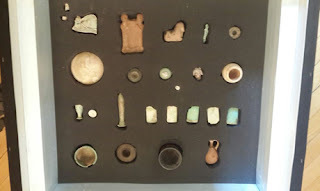 He has taught them how to sort the artifacts, how to photograph them correctly and how to describe them. The agents' work leads not only to finding long-lost antiquities. In the recent Egyptian case, it led to smugglers, money launderers and buyers, as well as two criminal convictions. But it’s not always about prosecution, Villanueva said. Sometimes it’s about returning priceless works to their home countries to reinforce diplomatic relationships and to give the public the opportunity to enjoy a glimpse into a shared past or foreign culture.